Jump on any motorcycle forum and you are sure to come across opinions about a lot of things. One topic that I’ve seen arise frequently is the question of body positioning, particularly on a sport bike in a street riding situation. 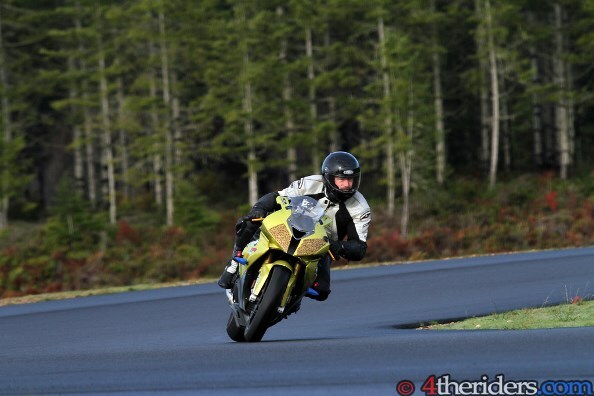 There are people who say that there is absolutely no need to be needing to move your body off the centerline of the motorcycle and they will adamantly defend their point of view. Others disagree and say that there are benefits to utilizing a movement based body positioning even in a street setting. Of course, both sides have their arguments. · You shouldn’t be going so fast as to need to re-position yourself in order to safely execute a corner. · Positioning your body to the inside of the bike (on left hand corners) places your head closer to the centerline and oncoming traffic. · On a corner with a cliff it can ever so slightly reduce how far ahead you can see. · Positioning such as this reduces lean angle at any given speed. A reduction in lean angle = more traction which in turn improves the ability to react to unforeseen incidents, increases braking ability and more stability on less than ideal surfaces. · Done properly, it helps a rider stay loose and relaxed on the bike’s controls. · It keeps the rider’s centerline in line with the bike’s centerline, thus allowing rider inputs to be more in tune with what the motorcycle is doing and also helps prevent the human brain from “fighting” the lean sensation (a proper non-moving position will also keep centerlines aligned, but crossing up is more common in my experience among people sitting “on top” of their bike). 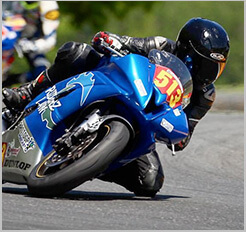 · Along with the above, the rider is positioned facing into the corner and thus is more likely to be properly looking through the turn and further down the road, which is the largest single factor in preventing a motorcycle accident. Neither side is wrong nor right, it depends on your point of view and the aspects of your ride that you consider a higher priority. For myself, having maximum traction, ensuring I’m looking where I should and staying loose is far more important than a few inches of clearance on a corner. My reasoning is that I can easily adjust to more than make up for the clearance differences with those increased abilities versus being more likely to need to rely on that clearance. I also feel that I can more safely carry a speed that I find enjoyable without putting myself in as much danger as increased lean would at the same speed. Others would argue that you should never go fast enough to desire less lean, and if you’re content and willing to ride like that, then I fully support that opinion. Let’s face it, however, those of us on sport bikes don’t usually buy that kind of bike because we want to cruise along at a leisurely pace all the time. Of course, I’m a huge advocate of sensible street riding and taking your “need for speed” to the track, but what I consider a relaxed, fun street pace can still benefit from proper body positioning due to the factors discussed above.